Recently, I’ve been feeling very inspired by the women in my life, including the TV characters I idolize on TV. Many of these ladies represent strong, fierce and inspiring characters that are challenging the status quo and changing the conversation around women; fighting for, empowering and championing them in various situations. And subsequently, they are changing the game while still finding a way to remain fashionable. This is what I'd like to call a #BossBabe. Did you know Kerry Washington's Olivia Pope was the first African-American female lead in a network drama in almost 40 years? Boss. And while we still have a ways to go -- 42% of major characters on broadcast, streaming and cable networks were women in 2017 -- it's a step in the right direction. Best of all, their portrayals are rooted in reality. Despite their "dream jobs," they encounter setbacks, navigate the challenges and normalize the burnout we all feel too often in our daily lives. So, befriend these ladies and you'll find they are relatable but also, an inspiration to crush it in both your personal and professional life. Younger tackles the ageist job market in New York City. Starting a new career is always difficult, but the older you get, the more you realize that the opportunities are scarcer. In fact, that's what Liza, a newly-divorced single mom hoping to re-enter the publishing world at 40, quickly realizes. After getting mistaken for a 26-year-old at a bar, she decides to keep up the rouse and finds herself unexpectedly re-living her 20s and befriending some kickass women. Love, lust, flings, secrecy, and sometimes questionable fashion make this one enticing show. The men aren’t too shabby either. When Scandal first premiered, it was revolutionary mainly because of Olivia Pope, a powerful, intelligent and inspiring black woman. Olivia Pope quickly became a household name, and even if you’ve never seen an episode, you know who she is. 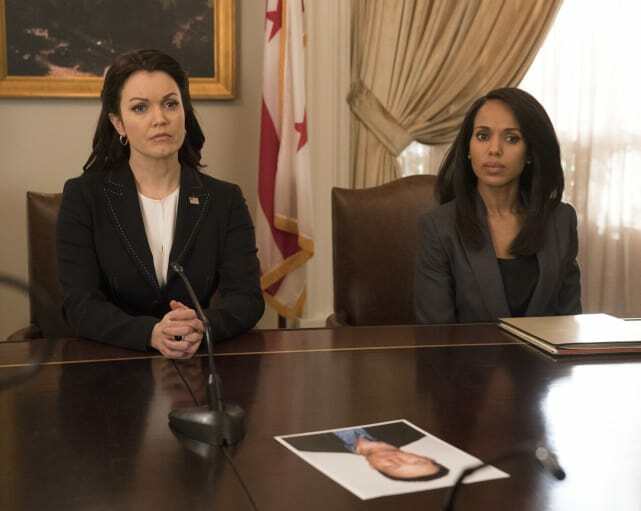 Although the series lost its way roughly around season four, Olivia has always remained a focal point; a fixer, leader, game-changer and wearer of the White Hat In DC. She went from running her own crisis management company to running all of DC! And best of all, she’s unapologetic. She goes with her gut and she gets it done, whatever "it" may be. And she doesn't let any man or any relationship drama get in her way. So grab yourself a long-stemmed wine glass, pour yourself some red wine, grab a bowl of popcorn, and start binging. This isn't just your average TV show about the magazine industry. 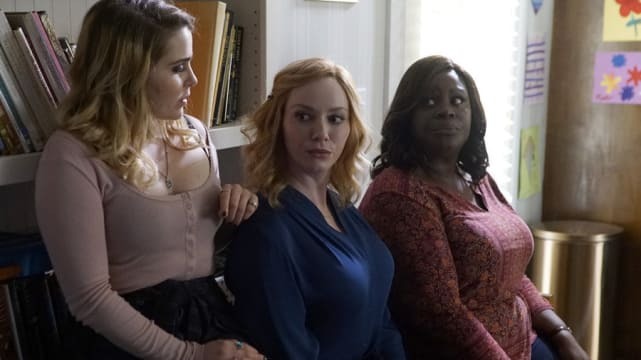 Besties Jane, Kat and Sutton lean on each other as they try to navigate life and find their own voices at Scarlet, the fictional international magazine based on real-life Cosmopolitan. Though it may be sweetened up for television -- their measly salaries would never afford them that wardrobe or those apartments -- it deals with real issues that affect millennials; LGBTQ rights, restructuring in workplaces, climbing up the corporate ladder, terrible job markets, sleeping with co-workers, etc. They also find a role model in their boss, Jacqueline, whose character is loosely based on the former Cosmo editor-in-chief, Joanna Coles. In a world where women get pitted against each other, it's nice to see a show where they lift and mentor each other instead. Good Girls is the result of what happens when women push back and reclaim their power. Unfortunately, in this instance, it lands protagonists Beth, Ruby and Annie, into more trouble than before as they embark on a life of crime. Think Bad Moms blended with Breaking Bad with a hint of every suburban mom. None of what they are doing is okay, but it's refreshing to see women step up and take care of their families rather than relying on the men to save them. They walk a very thin line between hero and anti-hero and though you question their decisions, you know there's a method to their madness. Trust us, it's guaranteed to keep you on the edge of your seat. Manhattan's elite were some of the first to teach us how to embraces ourselves in the face of social media scrutiny. The series kicked off in 2007 when Myspace was still considered the largest social media network before it was replaced by Facebook. It was also a female world with the male cast acting as the supporting cast. 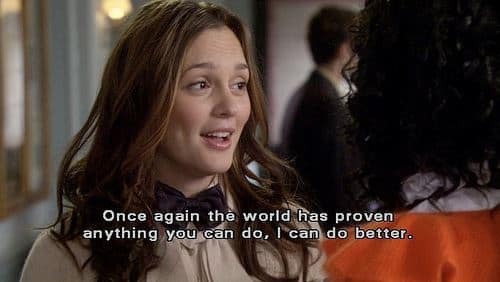 Blair and Serena weren't always morally righteous, but they embodied core values, class and an ambition that helped them navigate the business world. And by the end of the series, most of them grew into decent human beings, all things considered. The new version of Dynasty brings women’s equality to the forefront. Fallon and Cristal are powerful female characters and motivated business women who work hard for what they have and don't let men outshine them or take what's theirs. Both are career-oriented -- Fallon kickstarted her own company while Cristal worked her way up the PR chain at Carrington Atlantic to become the COO -- and are inching away from the dated ideologies that women should be "housewives" like they were in the original. The writers also wanted them to redefine what it means to be a feminine woman in modern times: Fallon isn't any less of a woman than Cristal because she doesn't want a man. And just because they look good, doesn't mean they aren't as interested in fighting for female equality. Younger: Hilary Duff and Charles Michael Davis on Chemistry, Competitiveness, and More! iZombie Round Table: We're OVER the Brother Love and Blaine Chronicles!